If you live in Gretna or thereabouts and you are in need of fridge repair, you might type into your smartphone queries like “fridge repair near me”, “fix refrigerator”, or the timeless classic, “Gretna refrigerator repair service.” Of course, you might get more granular than that, should the mood strike you. 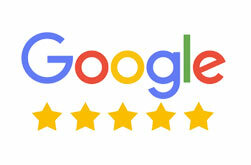 You could search by brand, too, by typing into your phone or tablet a search query like “Thermador refrigerator repair”, “Samsung fridge repair near me”, or something like “Viking refrigerator repair”. The point we are getting at is that there are myriad ways you could search for affordable domestic appliance repair on your refrigerator in Gretna, but there is only one choice when it comes to an expert blend of experience, affordability, and the high-quality appliance repair service that you find in Andy’s Appliance Repair & Parts House. 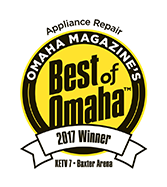 With appliance service centers in Omaha and Lincoln, we have the biggest parts house in the area. That means we are able to get the correct refrigerator repair part faster than the competition so that you can get back to your life without having to wait an entire week to be able to store perishables in your home again. Below you will find a few examples of freezer repair and fridge repair name brands that we are experienced in working with. Of course, we won’t be listing every single make that exists. But rest easy that we have the technical knowledge and factory-certified methods to get the job done right. That’s why so many people choose Andy’s Appliance Repair when they are in need of Gretna refrigerator service. As you can tell above, we also included Samsung refrigerator parts in this list. We have a massive parts house with factory-certified refrigerator parts on pretty much any brand you can think of. Of course, if there is a unique situation which calls for a part we don’t have in our appliance parts houses in Lincoln or Omaha, we’ll usually have the refrigerator (or other appliance) part in question available within 48 hours. 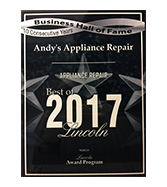 There’s only one choice for refrigerator repair in Gretna, and that’s Andy’s Appliance Repair! Gretna’s choice for dishwasher repair service is simple. Can you guess the answer? It’s Andy’s Appliance Repair. We service name brands like Viking, KitchenAid, Sears, LG, GE, Miele, Kenmore, and many more. 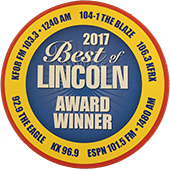 At Andy’s Appliance Repair, we’ve grown our name and reputation on having a commitment to being as communicative as possible during your entire experience receiving dishwasher repair service in Gretna or the surrounding region. We understand that simply being skilled at what we do isn’t enough. We need to keep our clients’ priorities top of mind and all times. That means taking the time to explain our process, the quote, the timeline, and the 1-year parts and labor warranty on any and all work done. We are passionate about providing the folks with whom we share a community with the most outstanding appliance repair service we are capable of. Rather than casting out a platitude, we take that mission to heart in specific and detailed ways. From our community involvement in Lincoln and Omaha, to simply hiring quality people who are worth their salt, we strive to be better every day. Practically speaking, this means you won’t have to do the dishes by hand for a week or two while you are waiting for the correct dishwasher part to come in. We make a point to get your life back together as soon as is humanly possible. That can make a massive difference to your stress levels. When your washing machine breaks down, it’s not fun. Granted, it’s not as seemingly disastrous as when you are in need of refrigerator repair or possibly stovetop repair on your range. Why? You are probably able to get by without doing laundry for a few days while you are waiting for an affordable appliance repair company in Gretna can come out to take a look at what seems to be the problem. If you call Andy’s, it’s highly-likely we will be able to make it out to you within the same day that you called. That’s why we talk about our “same-day-service” so much! This timeline is great because we are able to get your life back up and running without you having to wait a week or two. Going to the laundromat, or, heaven forbid, the in-laws’ place for a few hours to use their washing machine and dryer doesn’t sound like a great way to spend the evening. Below you will find a few examples of the brands we can service when it comes to providing you with washer appliance repair. Of course, this list is not comprehensive, but gives you an idea of the vastness of our name-brand coverage. Gretna’s choice for affordable washing machine repair service is clear. Get in touch with Andy’s Appliance Repair for same day service, quality customer-care, and a dedication to getting your problem solved as soon as possible. In the same conversation as washer repair, if your clothes dryer goes down unexpectedly, it can cause you quite the headache. Not only is it a clunky, heavy appliance, but, generally speaking, dryers are typically difficult to diagnose if you don’t have an experienced, master-certified appliance repair technician taking a look at your broken-down clothes dryer. Here at Andy’s Appliance Repair, we are capable of handling almost any warranty or non-warranty dryer repair problem that you have. Whether you reside in Gretna or the surrounding region, we can come out to you with same-day service (have you noticed we are doing our best to help you remember that key fact!?) and get your problem solved as soon as we can. Check out Andy’s Appliance Service Area here if you have questions, or just give us a call if you are on the edge of the area you see on our map. With our two-hour appointment windows, you don’t have to take a full or even a half-day off of work just to get your dryer fixed. We are punctual, and act respectfully once we are in your home. We will diagnose the problem, provide you with a thorough explanation of the issue, quote, and timeline to get your problem solved, and we will all be on our merry way! Like the appliances listed above, you can find a few examples of name brands of dryers that we service here at Andy’s. We provide both the ability to repair these makes as well as housing the replacement parts to make the electric or gas dryer repair job possible. Within this oven repair Gretna section, we’ll throw in microwave oven repair and Gretna stove repair for good measure. We figure you are starting to get the idea that we provide comprehensive coverage on all domestic and kitchen appliance repair service needs. In fact, we hope it’s getting to the point where you can just type in “Andy’s Appliance Repair Gretna” into your smartphone rather than something like “appliance repair near me”. Anyway, let’s talk about oven repair. It’s never a good time to have an oven break, but the holidays might be the worst time of all. Baking pies, cakes, casseroles, egg-bakes, you name it…all require an oven. No matter the brand you have, even if you are in need of “built-in oven repair”, we can handle the job in a timely and affordable way. Below you’ll find some examples of name brands we service when it comes to fixing ovens. We also provide expert ice machine repair in Gretna. Although it doesn’t get the same attention as some of the more popular appliances, having an ice machine break before a big party, or any day during the summer, is less than ideal. Below you’ll find a few examples of ice machine makes we can service here at Andy’s Appliance Repair. Get in touch with us if you are in need of ice maker repair service in Gretna or the surrounding region. We would love to help you out in an affordable way! Speaking of our Master Certified Technicians, you can usually expect us to be able to come out to your Gretna home either the same day or the next day. We have in-house, professionally-trained and certified technicians who are experienced in working on non-warranty and warranty appliance repair for all brands, all makes, and all models of home and domestic appliances. So no matter if you are looking for Avanti appliance repair, Samsung fridge repair, KitchenAid oven repair, or are experiencing Whirlpool refrigerator problems and don’t know where to start, give Andy’s a call for reliable Gretna appliance service.